Looks like there's more venture capital dollars for new tech companies flowing from the corporate sector these days, especially from companies like Google. According to an article in the New York Times, corporate venture funds invested $583 million in start-ups in the first three months of this year, up from $443 million in the same period last year and $245 million in 2009. And Google offers especially lucrative deals to new companies. Like what? Oh, you know, just access to 28,770 employees for engineering, recruiting and business advice, office space at the Googleplex and classes on building a business. Adimab, a biotech company, is using free space on Google’s enormous servers. EnglishCentral, an English-language education site, tested its coursework and accents for Japanese speakers with employees in Google’s Japan office. Google shared a contact list for airport chief information officers with Scvngr, a mobile gaming company, when it wanted to partner with airports. How do you get access to this Willy Wonka world of corporate perks? Well, start by creating a biotechnology, web or clean technology company, and submit yourself to a lot of analyzing ("analytics"-style). But it sounds like Google isn't saving its money for a lucky few: the company has invested in 100 new start ups this year. Sometimes I think Google is spreading themselves too thin. They're like the guy at the cocktail party who's creating five start-up companies at once. Do investors want a company that is trying to cater to every single market? Certainly their ambition is impressive from a fan's perspective, though. I'm amazed by their range of interests, and the perks they provide to these chosen companies. Who wouldn't want to play ping pong at the Googleplex, get free space on Google's service and business advice from their experts? 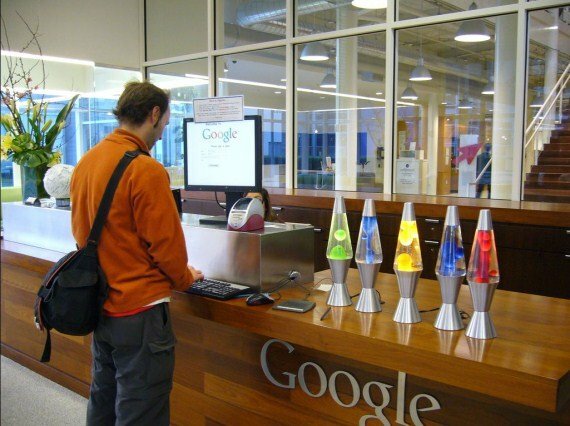 To learn more about Google ventures, check out their page here.